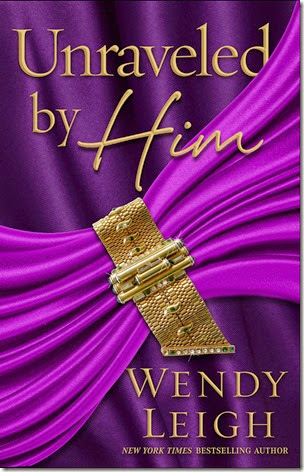 Check out this beautiful cover for the upcoming erotica debut from New York Times Best Selling author Wendy Leigh! Unraveled by Him embraces the sensuality of Sylvia Day’s Crossfire series and sweeping ​mystery and twisty ​nail-biting ​suspense. The first in a spellbinding trilogy that entwines, love, hate, romance, jealousy, lust and a white hot sexual adventure. This erotically charged roller coaster debut by New York Timesbestselling author Wendy Leigh, introduces us to Miranda, a free-spirited celebrity ghost writer who gets swept up into a dark world of passion and glamour​ when she meets notorious billionaire Robert Hartwell,​ an irresistible dominant older man. This entry was posted in Adult Romance, Book Covers, Books, Cover Reveal, Erotica and tagged adult, Cover Reveal, Romance, Romantic Suspense, Wendy Leigh. So when is fhe book coming out?